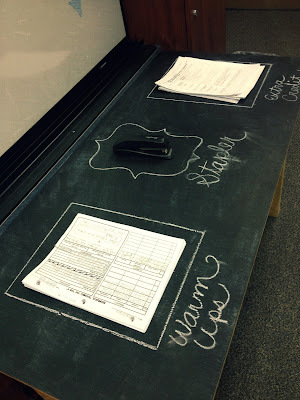 A few years ago I purchased an old desk from Goodwill to use in my classroom, and then one day I had an epiphany. 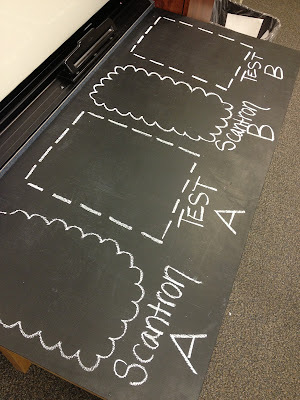 I got the idea to paint it with chalkboard paint. I honestly love it! My favorite thing to do is label it for different piles when students need to turn in assignments. It definitely helps with confusion. Yes, some students still turn papers in to the the incorrect pile, but it is more helpful overall. My students love it too. The day after I painted it, I had so many students come over to it in amazement. I think they appreciate the organization it provides, but their little fingers cannot help but smudge my lettering though. 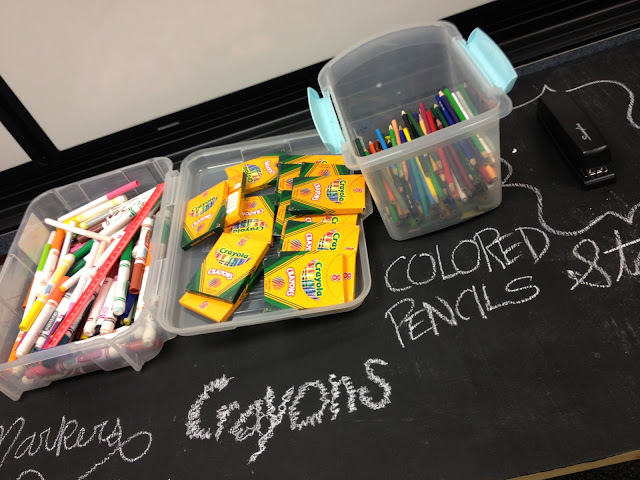 Really, there are so many possibilities with my chalkboard table and it will be used as long as I teach because I love it that much.